Financial health is critical to the survival and growth of any business. It is all about effective financial management which entails controlling, planning, monitoring, and organizing finances to attain the business goals. With the right financial software and tools, you can effectively utilize the available resources and fulfill your commitments to clients and other stakeholders. Get ready for long-term financial stability with the following 7 tips. This is the survival guide to the financial health of your business. An informed business person begins with setting objectives for their financials. The objectives must be measurable e.g. set specific revenue targets or the number of clients you want to acquire. Planning is an on-going process as opposed to a one-time strategy. So, you are going to make yearly, monthly, and if possible, depending on your business, weekly plans. With a plan in place, you can highlight your strengths, weaknesses, threats, and opportunities. Using specific financial software can help you benchmark your ability against the competitors. As such, you can better focus on your effort and stay put. At least every month, you must monitor your budget. Compare the real cash flow with your overall budget and work out the twists and turns in your business. If you get less cash flow than the expected figure, make a thorough assessment to determine the cause of the shortfall. If it is greater than anticipated, you should take note of the positive cause. It is important to determine the rationales behind your budget variances so you can make the right adjustments to your budget or the overall business plan. The lean philosophy applies to all types of businesses. Before you sign a lease contract, think twice. Before you purchase that high-end printer, upgrade your equipment, or rent a new office space, be sure that they are necessary. If you can go on with your business without them, disregard the purchases/ rent. Hold off if an upgrade is not necessary and budget for the next financial year. Do not rush into trends. This is the most effective cash flow management scheme. Collect your invoices on a timely basis so you can pay all your bills in due time. However, do not be in a rush to pay the bills ahead of time. Just do it when they are due and never be late. This will help in marinating a working cash flow. About your taxes; always met the deadlines for tax returns and payments lest you incur fines and high interest. You can avoid penalties by making timely payments. One of the most crucial cash-flow management tactics is to control the timing of the incoming and outgoing funds. Traditionally, businesses extend credit to customers for a certain period of time say one month. Any time such a transaction happens a strain is realized since the business still needs to meet its financial obligations. The best advice is to bill clients ASAP. If you operate on credit, make sure that your invoice is delivered within the same day of transacting. Be sure to track your invoices and remind your clients of the due date. As an entrepreneur, you must be financially ready all the time. When you decided to do business, you took a leap, hoping that a net will emerge. But with cash reserves, you can capture the net even before you leap. Examine your budget critically and figure out your monthly expenses. Always have a reserve to cover such expenses when things are slow. A good pointer is to have a back up of at least 6 months of cash that may be used for expensed during downtime. - Quick ratio: (current assets - inventories)/liabilities. It tells whether you have enough assets, cash, and low liability. - Equity ratio: current liabilities/shareholders equity- how you finance the growth of your business. 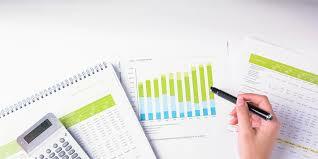 Effective management of financial resources must be an important aspect of your business plan. Your finances might be complicated at the moment but the 7 hacks should assist you in regaining full control of your finances. Whether you run a multi-million dollar company or a small retail store, you need the right financial software to have a solid understanding of your asset-based finances including accounts receivable, equipment leasing, inventory, trade credit, etc. In the end, there are particular benefits you are going to realize namely secure financing from banks, effective management of payrolls, high financial literacy, a better understanding of financial statements among others.